and love each other, for Christmas sake. Using freezer paper, fabric, and my computer printer, I make the fabric labels for my zipper bags at home. When designing my Tiny Bee bags I was looking for a DIY professional looking label when found Elm Street Life’s guide. I have also used this technique to print designs and typography onto fabric. Really easy and the ink is permanent. Share pictures of your printer fabric crafts on The Tiny Bee Facebook page. Are You Being Found in Google Image Search? Are your product photos being found on Google image search? If your image file name looks like ” 54K6F78.jpg” or some other computer generated mess, then the answer is NO. Google doesn’t know what your image is unless you tell it, so maximize your search exposure by naming your images with keyword rich descriptive terms. In a world where front page is king, 14 sets of my heart push pins are listed on the first page of search from using this quick simple SEO trick. Whats your SEO secret? Share your best tips in the comments below. I sell many different types of earrings at The Tiny Bee and use these Darice bead boxes to keep my stock organized. I got these for around $2 a piece in the Michaels jewelry aisle during a 40% off organizers sale. These sort of sales seem to repeat themselves so just keep an eye out. I sorted all my stock by earring shape and then in rainbow order ( don’t you just love things in rainbow order?). I attached labels to the side of the boxes and stacked them on a closet shelf for easy access whenever that next Etsy order comes rolling in. These are my crafting bibles. Both of Martha Stewarts’ crafting encyclopedias are beautiful hardcover masterpieces and… I love them. I recommend the Encyclopedia of Crafts: An A-to-Z Guide” for general crafters and her Encyclopedia of Sewing and Fabric Crafts for people who like to sew. $26 each. If I seem obsessed with everything Martha, it’s because I am. 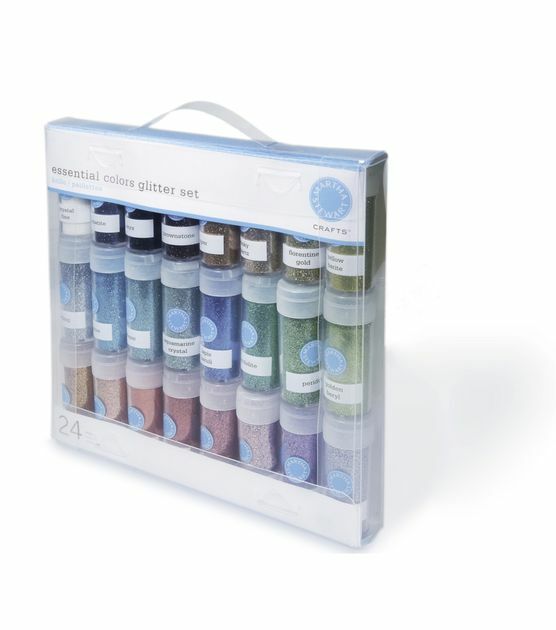 I am also infatuated with glitter, so my love for this Martha Stewart Crafts Essential Colors Glitter Set, 24-Pack runs pretty deep. Did I miss something you love? Let me know in the comments below. These decorative Christmas matchboxes are super easy, inexpensive, and can be made with all those crafting scraps you have laying around. Matchboxes– I got a 10 pack of these in the grocery store for 97 cents. Shipping labels (or any other white sticker). I prep each matchbox with these stickers so that the writing is covered. These two inch labels worked fine for the width and I trimmed the excess with scissors. Be cautious not to cover the striking strips or you’ll end up with a less-than-functional matchbox. You could also use white paper and glue for this step. Scissors– for trimming labels, washi tape, stickers, etc. Mod Podge for gluing but I’d imagine something like Elmers would work as well. This box is make with some Christmas scrapbook stickers. After attaching the shipping label I colored it with a red sharpie. Then I cut the sticker to size and tucked the raw ends inside the box cover. Of course, I needed a glitter version. At first, I tried to Mod Podge glitter to the cover, but it was falling off and getting all over the place. Instead I poured glitter onto a paper plate and placed the sticky side of a shipping label onto it. Then I used Mod Podge to attach the now sparkly label to the cover. For a fun pop of color, I used a red sharpie on the inner matchbox. How cute are these little guys? I cut two pieces of scrapbook paper to size and attached them to the cover using Mod Podge. You can also use Mod Podge over the paper for extra protection/ glossy finish. I used “Merry Christmas” stickers on the inside box for an extra special touch. There are so many ways you can decorate and customize these matchboxes. These would be an awesome gift with a candle or alone as a stocking stuffer. I would love to see what you guys come up with. Share your matchbox designs on The Tiny Bee facebook page.